We have different ways to service your business remotely. 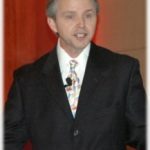 Thank you so much for your exceptional work in developing and maintaining my website, www.jeffrendel.com. Because of your talented efforts and honest professionalism, my business continues to grow at a rate that keeps me resetting my professional goals.